The goal of this activity is to support adaptation to climate change in the Region of Latin America and the Caribbean, through an increased awareness on the impact of climate change on water resources. 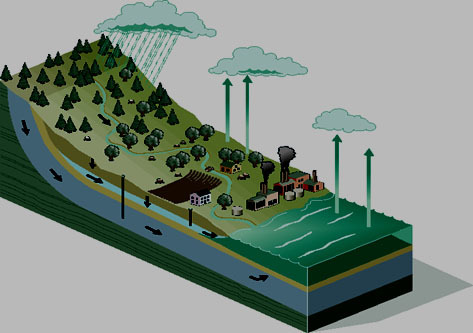 This enables to define strategies to adapt to expected changes in water resources under the new climate scenarios. These strategies will focus on three likely areas for action: water shortage (drought), excess rainfall and /or increase in the frequency of extreme events (floods). c) the determination of the vulnerability of inter-annual and decadal variability, as well as climate change impact on water resources in the pilot basins in the region. An introductory workshop was held in La Serena, Chile, from 04-08 August 2014, with four pilot countries (Chile, Bolivia, Peru and Colombia). An overview of the course content and main outputs can be found here. A follow-up workshop is to be held in Cartagena, Colombia, from June 30 to July 3 2015, with eight pilot countries (Chile, Bolivia, Peru, Colombia, Argentina, Costa Rica, Honduras and Ecuador). An overview of the course content and main expected results can be found here.